How to evaluate and negotiate your stock options part 2 – Should you accept stock options in exchange for a lower salary? If you’re a startup employee, there’s a very high chance that you’ll be offered stock options in your company. Stock options are an exciting opportunity to change your financial future – but there’s also a risk that you’ll end up losing your acquisition cost and be left holding shares that are worth almost nothing. If you’ve already read Part 1: How to Evaluate and Negotiate Your Stock Options Package, then you already understand what to look for when you negotiate your stock options. For the purposes of this article, we’ll assume that your company has a positive valuation and you believe it will succeed (otherwise, you wouldn’t be reading this). Now we’re going to dig deep into a more difficult decision: What should you do if you’re faced with the choice between employee stock options and a higher salary in private companies? Here are 4 steps to help you make this decision. Before you can make an informed decision, you need to know what your options really are. That means working out how the difference would be in your salary, versus how much your shares might be worth. Consider the value of your drop in salary. For example, if you’ve been offered a salary that is $10,000 less per year, then over a four-year vesting period (which is standard), you’ll lose out on $40,000. Imagine that you were offered 1,000 stock options across a 4-year vesting period, at an exercise price of $50. If you exercise all your options, once they have vested, you’ll pay $50,000 for your 1,000 shares. The value of the company may have risen fivefold by the time you exercise your options, so each share is now worth $250. You now own shares with a relative value of $250,000 ($250 x 1,000 shares). Once you subtract the exercise cost that you paid for your options, you’ve effectively gained an extra $200,000. This gives you an approximate set of figures to use to begin your evaluation. But first, stop to think about whether you intend to stay at the company for long enough for your stock options to vest. If you expect to leave before the end of the vesting period, will enough options have vested to be worth exercising? How long is the exercise period once you leave the company? If you leave after just a year or two, and then have to make a fast decision about your shares, you might not be able to form a reliable opinion about the company’s value. What is the value of your stock options package? It’s a given that the value of your stock options is going to make a difference to your decisions. Ideally, the management would share their latest independent valuation with you, along with the number and type of options that are part of your package, so that you can get an idea of what your options are worth. Read the fine print in your employee stock options plan carefully to discover what the value is of your compensation package. If you’re unsure, don’t be afraid to ask for clarification. How much money has the company raised? This might sound contradictory, but the more money the company has raised before exiting, the lower your chances of enjoying a sizeable slice of the profits. The company needs to be acquired for an amount that is higher than the money it raised in earlier funding rounds. Otherwise, all the money that it makes on exit goes to repay the investors, and there’ll be nothing left over to pay shareholders like you. What is the vesting period? It’s standard to have a vesting period that lasts for 4 years. Typically, the first cliff comes after 1 year, and the rest of the shares vest proportionally every month or every quarter. If your stock options plan has a vesting period that is very different from this, it should raise a red flag. Are you offered ISOs or NSOs? The difference between ISOs and NSOs could be a sizeable tax payment, so it’s important to notice which type of options is on the table. Now you need to take a long, objective look at your company. 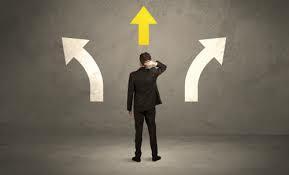 You have to decide whether you’re likely to make a profit on your stock options. Ask the management for a recent, unbiased valuation of the company’s worth. If your request is repeatedly avoided or refused, consider that to be a red flag. A company that’s confident of its chances for success won’t be scared of sharing the most recent valuation. How mature is the startup? On the one hand, the earlier you invest, the bigger you profit you’ll make when the company exits. On the other hand, the risk of the company failing is greatest in its early stages. How are the business metrics doing? If you’re at an extremely early-stage startup, you’ll want a reason to trust that the company will succeed. Ask the management to convince you of their success, and if you aren’t convinced, consider it a sign that you should seek a different opportunity. If the company has passed Series A or B, there should be some business metrics that you can view, such as revenues, user numbers, and customer growth rate. If these are rising, it will give you the reassurance you need that the company has a reliable chance of making money and becoming profitable. You need to see evidence of an actual product or service, and a reliable way that the company can expect to make money by selling it. Has there been any interest from larger corporations? You’ll need to be careful here because rumors abound in startups. Sift your information carefully to find out if there’s a real chance of an exit within the next few years. At this point, take the most pessimistic view possible. Remember that if the company fails, you’ll lose your salary anyway. If you chose stock options in exchange for a lower salary, then you’ll lose even more. What is my attitude to risk? If you choose the stock options, you’ll have to spend years wondering whether you’ll come out with a profit. If you’re not comfortable with that level of risk, you’ll probably do better to cut your stress levels and take a higher salary. Do I need the cash now? If you’re just buying a house, just starting a family, or need the cash for any number of other personal reasons, you might not be able to wait the 10, 15, or even 20+ years until you can liquidate your investment. 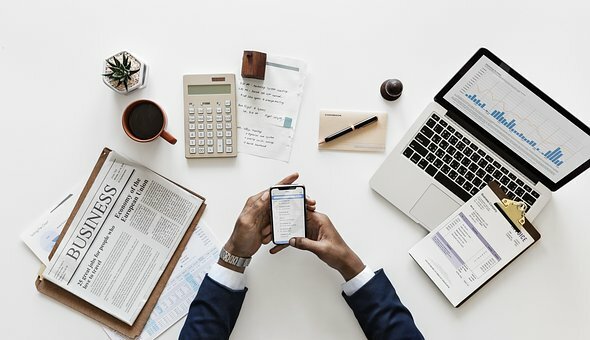 Depending on your income tax bracket, the type of stock options you’re offered, and how long you expect to hold on to your shares before you sell them, you might have to pay a sizeable tax bill when you exercise your options. Can I pay the acquisition cost? When you exercise your stock options on leaving the company, you’ll need to pay the exercise price, also called the acquisition cost. Depending on the circumstances, you might also need to pay this cost if you exercise your options while staying at the startup. If you don’t have enough funds to cover this cost, think carefully about what you’ll do to acquire them. It’s not recommended to take out a loan or add to your mortgage in order to buy shares. 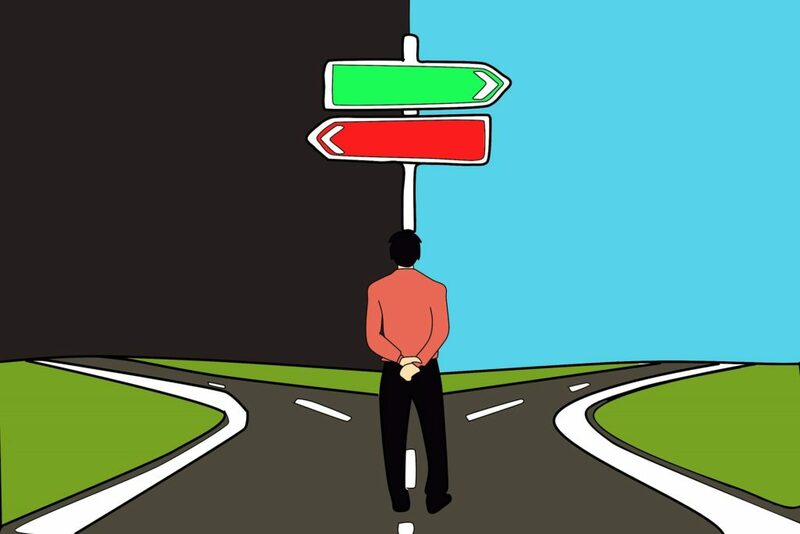 Making the choice between stock options and a higher salary is rarely black and white. Ideally, you want to get the salary you need to cover your living costs, along with stock options in a company that will exit and thereby transform your financial future. If you take care to understand the terms of your employee stock options plan, you’re confident that its value is higher than the pay cut, and you can afford to wait until you can liquidate your shares, then it could be worth it to seize your stock options with both hands. Once you’ve made this decision, if you find that you can’t afford to pay the acquisition price, EquityBee could be able to help out. When you’re a startup employee, getting stock options can be a major part of your employee compensation. But an employee stock option plan is far more complicated than receiving your salary each month. That’s why we prepared this employee stock options guide to help you along. If you’re confused by phrases like ‘exercise periods’ and ‘vesting,’ have a look at Employee Stock Options Part 1. Otherwise, keep reading. 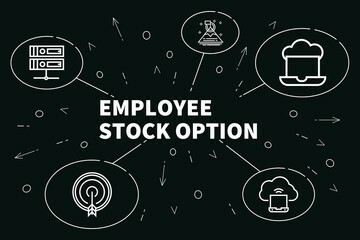 It’s time to consider all the employee stock options benefits and pitfalls so that you can make an informed decision about your ESOP. 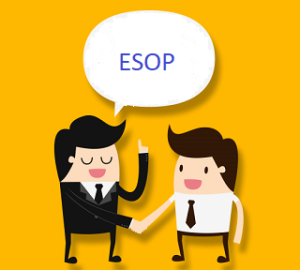 ESOP stands for Employee Stock Options Plan – sometimes also called Employee Stock Ownership Plan. It’s part of your compensation package. Your ESOP contract covers all the details of your opportunity to acquire shares in your company. Type of options. Are you offered ISOs or NSOs? The difference is important because it affects the amount of tax you might have to pay when you exercise your stock options. Exercise period. When you leave your job, you’ll only have a certain amount of time in which to exercise your stock options. Pay careful attention to this, because it would be a shame to miss out on the opportunity to exercise your stock options just because you lost track of the time when you moved jobs. Exercise price. 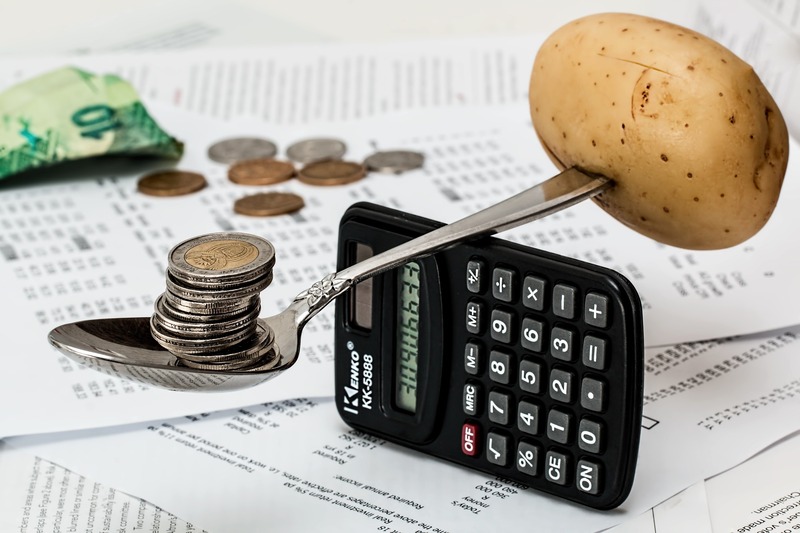 The amount that you’ll need to pay for your stock options makes a big difference to the amount you can hope to gain by exercising them.The exercise price, multiplied by the number of stock options in your package, determines your final exercise cost. Number of stock options. The number of stock options you are granted represents the percentage of company shares that you will own after you exercise them. Vesting period. This is the amount of time you’ll have to wait until your stock options are ‘vested,’ meaning that you can exercise your options to buy shares. Your options might vest gradually over a few years, or there could be a vesting ‘cliff’ where 100% of your options all vest at the same time. If you’re only intending to stay in this company for a few years, it’s important to check how many options will vest by the time you’re ready to leave. Preferred shares. Major investors and executives have ‘preferred shares,’ which mean that they get paid first when the company exits, and/or gives them a higher guaranteed return on their investment. If there are too many preferred shares already issued, there might not be enough left after exit to cover your initial investment. 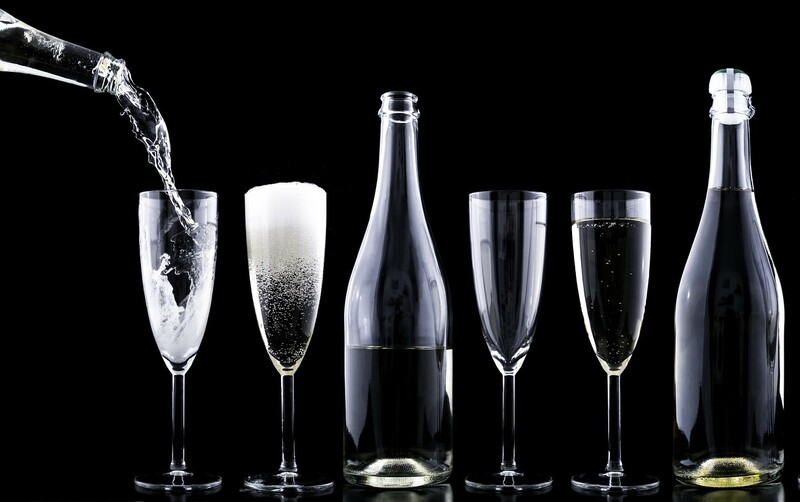 To read more about preferred shares, see our blog post ‘What is a liquidation preference?’. If you have an ESOP, at some point you’ll need to decide whether or not to exercise those options. The sooner you begin to think about the benefits and pitfalls of your ESOP, the better informed you’ll be when it’s time to make a decision. Let’s begin with the positive. When receiving your employee stock options, your hope is that your company will grow, and its value will increase. If your company has a good outlook, you’d be well advised to exercise your stock options to get in on the ground floor, and then enjoy the income as the share price rises. Over time, the amount that you’ll make from your employee stock options could add up to far more than a year’s base salary. This was how many employees at startups like Waze, Facebook, and many more became bona fide millionaires. In 2017, you exercised your employee stock options to purchase 20,000 shares in FuzzyBear Inc., at $2.00 per share. Two years after you invested, FuzzyBear Inc. is acquired by the much larger consortium of HeavyBears Inc. and common share prices doubled. As a result, you now own shares worth $80,000. You might find that FuzzyBear’s stock continues to grow in value over the next few years, giving you sizable dividends every year, as well as a nice nest egg when you choose to sell your stock. Alternatively, you might decide to sell off most of your FuzzyBear shares at this point, and reinvest them in a range of different stocks to diversify your portfolio. Now let’s turn to consider the employee stock option pitfalls. They aren’t as pleasant to consider, but they can’t be ignored. First of all, stock options are not as liquid as cash. You’ll usually need to wait for your options to vest before you can exercise them, acquire your shares, and then exchange them into cash upon a liquidity event. Two years later, FuzzyBear Inc. is acquired by the much larger consortium of HeavyBears Inc. and common share prices doubled, so that you now own $80,000 worth of shares. You hang on to them, hoping that the market will carry on rising. You don’t expect a sudden recession, which causes the value of your shares to drop to just $1 per share. Your shares are only worth $20,000. You decide to hold on to them, hoping that the market will rally and that the share price will rise again. Unfortunately, 6 months later your company declares bankruptcy. You get back only $0.20 for every share, losing all the value you gained as well as your acquisition cost. It’s not a scenario anyone wants to consider, but the sad truth is that 90% of startups fail. Don’t forget that you have to pay the exercise price when you exercise your options. Depending on your income tax bracket and the type of options you’ve been awarded, you might also have to pay a significant amount in income tax and capital gains tax. If you don’t have the funds available to cover this cost, you might need assistance to fund it. That’s where EquityBee can help. If FuzzyBear issues 1 million shares, and you acquire 20,000 of them, then you should own 2% of the company and get 2% of the profits when it exits. But if the company issues another 1 million shares a year later, you’ll only get 1% of the shares. It’s important to think about how many more shares your company might issue in the future, and how much your equity could be worth. Ultimately, whether your ESOP is a blessing or a burden depends on your precise situation. Your life circumstances, the terms of your ESOP, how long you intend to continue working at this company, the company’s expected growth – they all affect the choices you make regarding your stock options. That’s why you need to educate yourself about the terms of your ESOP and make an informed decision for yourself. If you’ve read Employee Stock Options Part 1, you’ll already understand stock options, the exercise price, the exercise period, and the vesting period. 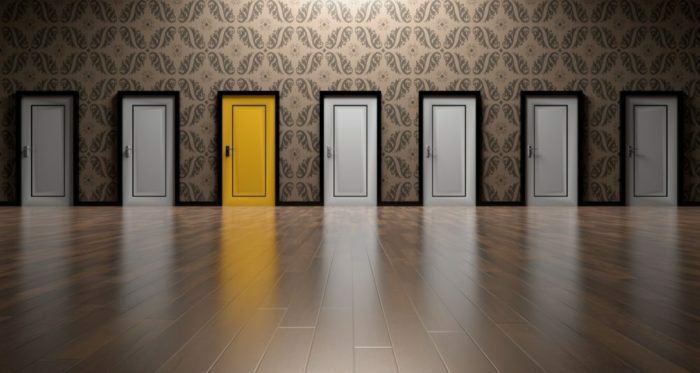 Now we’re going to focus on the differences between the two most common types of options – NSOs and ISOs – and how they can impact your choices to exercise and sell options. NSO, or sometimes NQSO, stands for non-qualified stock options. These types of options are typically offered to all startup employees at all levels. NSOs can also be offered to non-employees, consultants, and directors. The IRS considers NSOs as part of your compensation and charges you income tax on the stocks (we’ll go into more detail below). ISO stands for incentive stock options. These types of options can’t be offered to non-employees, and they can’t be transferred to family members or friends. ISOs are not taxed at the same rate as your regular income, as long as you follow certain IRS rules (we’ll discuss these rules below). What are the main differences between ISOs and NSOs? Both NSOs and ISOs are full stock options. When you exercise either an ISO or an NSO, you get equal say in the future of the company and an equal share of the profits, regardless of which type of option you exercised. The essential difference between NSOs and ISOs lies in the way that they are treated by the IRS. NSOs are taxed at your regular income tax rate. ISOs are taxed at a preferential capital gains rate. The option price for ISOs must be the same as the fair market value of the stock on the grant date. The option price for NSOs can be lower than the fair market value. ISOs can only be granted to and exercised by startup employees. NSOs can be granted to and exercised by non-employees, including family members and interested parties. Each employee can only acquire up to $100,000 worth of ISOs each calendar year. The value of the ISOs is determined by the aggregate fair market value on the grant date. If you acquire more than $100,000 in ISOs in a single calendar year, all stocks worth over that limit are treated like NSOs. There is no limit to how many NSOs you can acquire each year. ISOs are not transferable except through the death of the employee. NSOs can be transferred to family members or a family trust, according to the rules established by your board of directors. You have to exercise your ISOs within 10 years of the grant date, or three months of the termination of your employment. You have to exercise your NSOs within the exercise period that is fixed by the board of directors, which could be shorter or longer than the 10-year period for ISOs. When do you have to pay tax on NSOs? Because NSOs are considered part of your compensation package as an employee, the IRS taxes them at the same rate as all the rest of your income. Let’s continue our example from Part 1. Just to remind you, you’re an employee at FuzzyBear Inc. You’ve been awarded 8,000 NSOs, with an exercise price of $0.50, and a four-year vesting period. The grant date is January 2017. You’re awarded 8,000 NSOs. You don’t owe any tax. In January 2019, you want to exercise your NSOs. 4,000 of them have now vested. You pay $2,000, and now you own 4,000 shares in FuzzyBear Inc. Congratulations! It gets better. In the last two years, FuzzyBear Inc.’s stock has shot up to $4 per share. You spent $2,000, and now you own stock worth $16,000! Exercising your NSOs is a taxable event. The IRS checks the spread (the difference between the current market value of your 4,000 shares and the amount you paid for them), which is $14,000 in this case. The IRS charges your regular income tax rate of 32% on $14,000 worth of stocks, so you’ll have to pay $4,480 in income tax. Note: There are ways to reduce the amount of income tax that is payable on your NSOs. We discuss how to minimize this tax payment in an upcoming post. If the value of your stocks has gone up even more by the time you sell or trade your stocks, the IRS charges you capital gains tax on the profit you’ve made. If you sell or trade in your stocks within one year of exercising, you’ll be charged short-term capital gains tax. If you hold on to them for at least one year from the date of exercise, you’ll be charged long-term capital gains tax. This is usually much lower than the short-term capital gains rate. As a result, it’s usually best to hold them for at least 12 months. However, there can be good reasons to sell early that override tax considerations, such as the need to access urgent cash, if you anticipate a large drop in value in the near future, or if you have no choice because the company is exiting. 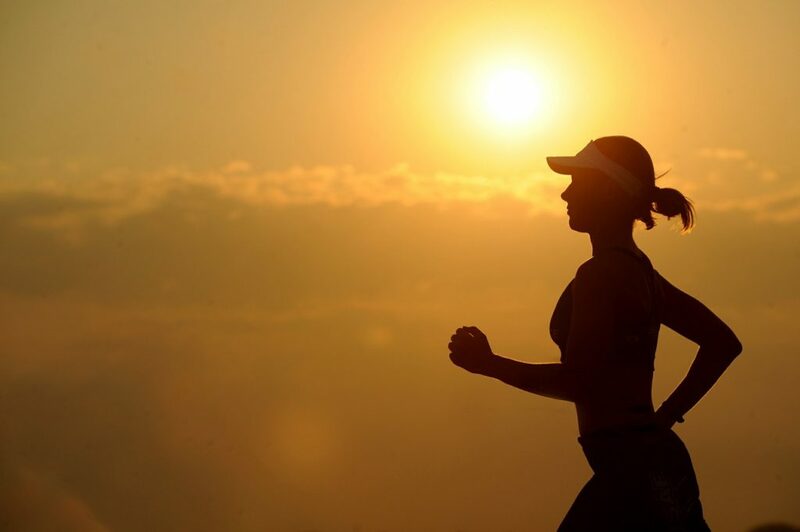 When is the best time to exercise NSO? How much further do you think the stocks may rise? How urgently do you need cash now? What is your level of risk tolerance? Do you expect your income tax bracket to rise or fall in the near future? How many shares have vested? How many years remain until your NSOs expire? What are your benefits as an ISO holder? The chief benefit of being awarded ISOs instead of NSOs is that you’ll often be able to avoid having to pay any income tax on your ISOs and only pay long-term capital gains tax. You might need to pay Alternative Minimum Tax (AMT) contributions, which we’ll discuss in depth in another employee stock options post. What is the tax reduction for ISO? You are granted 8,000 ISOs in January 2017. You don’t have to pay any tax. In January 2019, you exercise 4,000 NSOs that have vested to date. Current market value is $4 per stock, but you buy them at the exercise price of $0.50 each. Usually, you won’t have to pay any tax at this time. Congratulations! You now own stock worth $16,000 and you haven’t been charged any tax (unless you are liable for AMT). If you sell your stock within one year of exercising, you’ll be charged income tax at your regular rate on the spread between the price you paid at exercise, and the current market value. If you hold on to your stock for at least one year and then sell it at a higher price, you will be charged long-term capital gains tax on the profit you’ve made. If you hold on to the stock for a year or more, you could have to pay Alternative Minimum Tax (AMT) on the spread. When is the best time to exercise your ISO? Apart from picking a time that is after your ISOs have vested but before your exercise period expires, it’s difficult to identify the best time to exercise your ISOs. The tax laws for ISO are even more complicated than those for NSO, so it’s best to read our in-depth employee stock options guide to reducing your tax burden and/or ask professional advice from a tax lawyer. Next, you’ll need to consider your tax situation carefully and look deeply into the possible tax implications for exercising, holding, and selling your stocks. Whether you have NSOs or ISOs, read the next installment of the employee stock options guide for more advice from EquityBee on how to buy stock options and minimize your tax obligations. Accredited investor – what makes you one and why does it matter? Online alternative finance platforms have become commonplace in today’s investment world, growing to ~$35 billion in total market volume in the U.S. alone. These platforms use technological innovations to change the way people invest and what investments they can access, opening many markets that were previously inaccessible to the crowd. However, this “crowd” is many times still quite limited as many platforms allow only accredited investors to invest in their offerings. In the U.S. an accredited investor is one that has a net worth of $1 million (excluding the person’s primary residence) or an income of at least $200k in the last two years ($300k for a couple) with the expectation of keeping such income in the next year. In other countries, the term (sophisticated/qualified instead of accredited) and the asset and income thresholds may be different, but the idea is pretty much the same. Accredited investors are allowed to invest in securities that are not registered with financial authorities. They basically get privileged access to investment opportunities that other individual investors cannot invest in. When a company or a fund wants to raise money, it has to register its shares or securities with the local financial authority (e.g. the SEC). This registration is all for investor protection. The regulators want to ensure that these companies are legitimate businesses and so they require them to provide certain information upon registration and through ongoing reporting to make sure that’s indeed the case. Since the registration can be costly and burdensome, some companies prefer to use exemptions that allow them to offer securities without registering them. One of the most popular exemptions allows these companies to offer their securities to accredited investors only (and 35 other non-accredited investors, even though that allocation is rarely used). For example, if you want to get unique access to startup investing through our EquityBee platform, you must be an accredited investor since our securities are not registered with any financial authority. The regulators decided that investors who have enough money are sophisticated enough to invest in companies without the oversight and reporting requirements that come with SEC registration. These investors can also afford the higher risk of such investments given their financial situation. Does this definition make sense? Let’s break accreditation into two: knowledge/sophistication and money. These two together put the regulators at ease that this group of investors is capable of analyzing private investments and take the associated risk. Money sometimes translates to investment sophistication, but not always. Therefore, the SEC should consider adding true sophistication qualifications to the definition of an accredited investor. While wealth doesn’t necessarily translate to investment sophistication, it’s easier to argue that certain degrees and certifications do. Now to the money piece: accreditation thresholds in the U.S. were put in place in 1982, when less than 2% of the population met them. A million dollars can buy a whole lot of less in 2018 than it did in 1982, so it may be time to re-evaluate these thresholds as well. In the meantime, if you are an accredited investor, keep enjoying favorable access to investment opportunities, but remember that this increased access comes with additional risk that you must asses carefully. Everything you need to know about Preferred Shares in Startups. Your scroll down TechCrunch’s homepage as you sip your morning coffee – and BOOM! You see that your friend’s startup just raised a $50m from a top-tier VC. The VC will now own 20% of the company, approximately what your co-founder friend now owns. Are those 20% stakes equal? When startup founders raise money from investors, they’re basically selling shares of their company. They are looking to sell to people who want to invest in it. But not all shares are made equal. 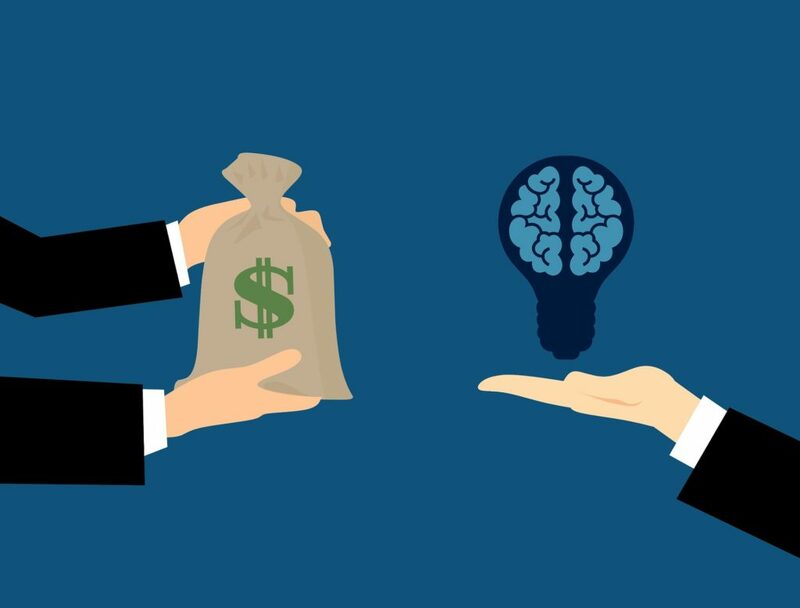 The shares that investors acquire are typically superior in some ways to the ones startup founders own or startup employees get (through their stock options). They are preferred to the founders’ and employees’ common shares. What is a Liquidation Preference and Why Should You Care? Even though it could significantly impact how much cash is left in their pockets post exit, liquidation preference is a term that’s often overlooked by founders, discounted by beginner and early investors, and could be a complete unknown to startup employees. What Happens to Your Stock Options When You Leave a Startup? Hi Monica, it’s Richard, Pied Piper’s recruiter. The entire team loved you and I’m excited to extend you an offer to join Pied Piper as a Director of Winning. We think you’ll be a great fit here culturally and we really hope you decide to join the team. We have a few other candidates we really like, so I’ll need a decision by the end of tomorrow, ok? Well that happened fast. You weren’t really even in the market for a job because you like your current one, but they reached out to you and Pied Piper is such a cool company and this will look great on your resume and you could really use the salary bump if you’re ever going to be able to afford buying a house. You have to take this job. And that means you have to leave your current one. With that decided, what happens to your stock options when you leave a startup and decide to move on? You just joined this hot new startup that uses AI to create a snack menu for puppies based on trends in their tail movement. You believe this company is going to be big and you can’t wait for your options to vest so you can early exercise them and become a shareholder. Good news! There’s a chance you don’t have to wait at all. Many startup employees believe they must wait for their stock options to vest before they can exercise them. That makes perfect sense, right? How could they exercise their options if they don’t even legally own them yet? Well, things don’t always work the way we’d expect them to. A lot of great content about the fine art of investing in startups and catching unicorns has already been published. It is too broad of a topic to cover in just one blog post or even a series of posts. So before we go on and write a full blown series, we thought we’d start with something that’s easy to digest and provide a few rules of thumb for investing. In future posts we’ll dive in deeper into the subject of investing and also provide references to our favorite startup investing resources. What Happens To Your Stock Options (and Shares) When The Company Gets Acquired? The primary goal of most VC-backed companies is an exit. There are essentially two ways to achieve such goal: go public or get acquired by another company. Last week we discussed in detail what happens to employee shares and stock options when a company goes public. This post will cover the more frequent exit event – an acquisition. While the dream for many startups is to go public, in reality the M&A (mergers and acquisitions) route is a much more common one. According to CB Insights, only 3% of exits in 2015-2016 were IPOs (initial public offerings), while the rest (about 6,700 out of 6,900 exits) were through a merger or an acquisition. Whether it’s a direct competitor, a large company that wants to expand online, or the corporate incumbent your company was trying to defeat, the possibility that one of these companies will acquire the startup you work for is your best shot for an exit.